Rocket Sports & Entertainment Network » Blog Archive » Jays at the Jack? The steel support beams from the former bleacher sections at Jack Russell Stadium in Clearwater have been moved into place behind home plate. The former first and third base stands are now going to be put up behind home plate for seating. 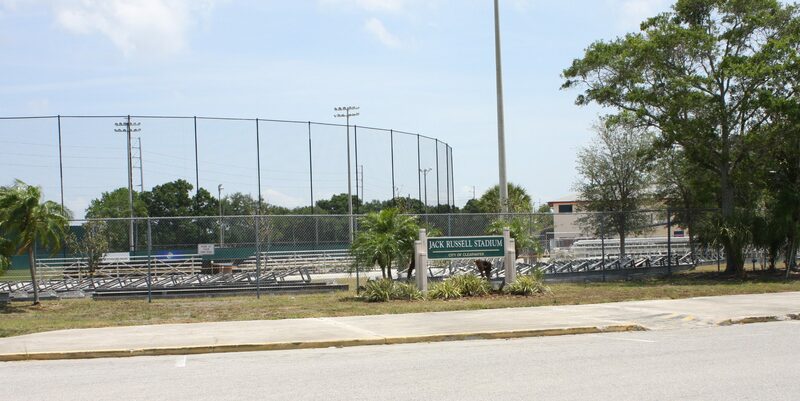 The stadium is presently being used by Clearwater High School and the St. Petersburg College baseball teams in season. There is a possibility that in 2018 the FSL Dunedin Blue Jays will use the stadium for their home game while Florida Auto Exchange Stadium in Dunedin is being renovated.